Flood Bros. 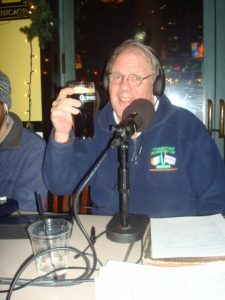 Disposal presents The Skinny & Houli Show and the lads kick the show into high gear for Christmas with our guest, Chicago’s favorite Irish tenor, Paddy Homan. Cork man Paddy has a new CD out for the season, as well as his Christmas show playing around Chicagoland with The Noble Call. The Noble Call is Mick Broderick, Dave Curley, Brendan Bulger, Larry Nugent AKA, “the Jimi Hendrix of the tin whistle”, and of course Paddy Homan himself. These super stars of Irish music blend together perfectly to take you back to simpler times, stories, and melodies that will fill your heart like a hug from grandma on Christmas eve. We play several cuts from the CD on this show, so give us a listen, and then go buy your own, and cherish it for many Christmas’ to come.